This innovative training curriculum focuses on giving early intervention providers strategies with which to prepare parents and caretakers for their vital role in building healthy brains. 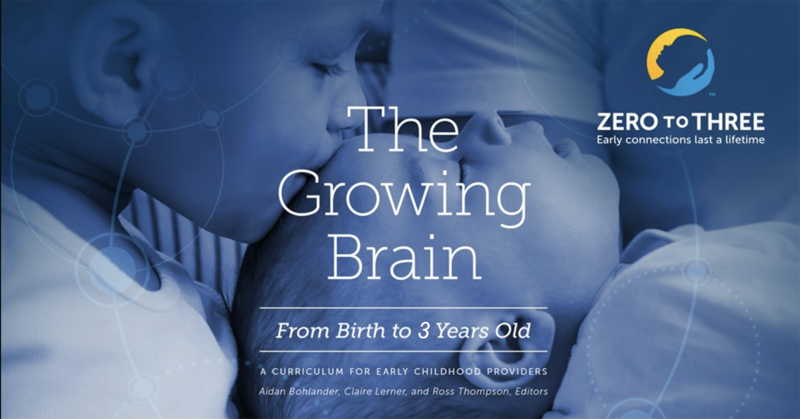 The curriculum fills a unique niche by providing a comprehensive understanding of how the brain develops, along with ways the provider can help families encourage healthy brain development in children from birth to 3 years old. Reducing toxic stress that can negatively influence brain development of very young children. The Growing Brain: From Birth to 3 Years is comprised of seven 3-hour units. *Up to 21 hours of Early Intervention Credit, CEUs and an IDTA endorsement that indicates the participant has additional knowledge and training in the growing brain of infants and toddlers is available. This training is open to all Early Intervention Providers!